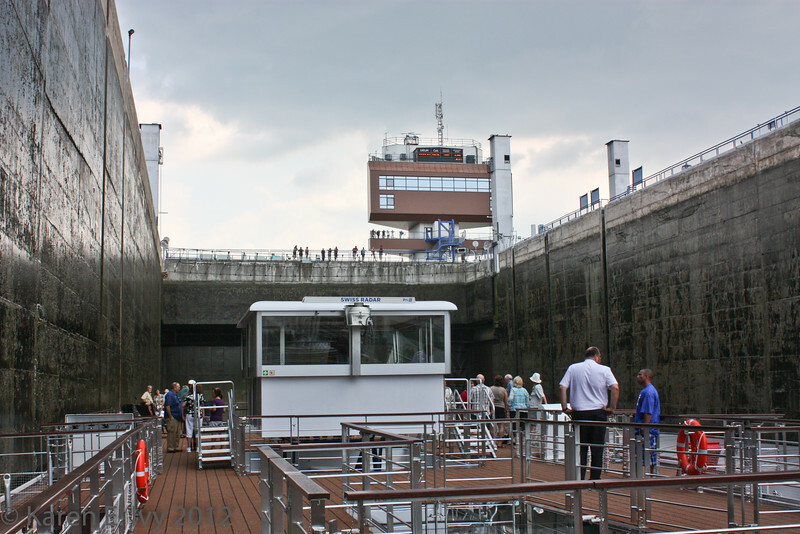 Leaving Bratislava in the afternoon, we went through the biggest lock we saw on the tour. We came into Budapest after dark, so we could see the city lights. The next morning we spent on a bus tour out to the Heroes' Gate, then walking the area around Matthias Church, which was under reconstruction. In the locks at the Gabčíkovo Dam -- a rather contentious water project. Tall man in a white shirt is the Embla's captain.